The Monte-Carlo Grand Prix circuit: why is it that so many superlatives abound from professionals, enthusiasts and from all the admires of motor racing who flock to Monte-Carlo? What makes the track “the most challenging”, “technically the most difficult”, “unique”, “the most original, and “simply the best”? The circuit is after all almost unchanged from its birth in 1929. And that is the magic of it. You take a Principality squashed into 2 square kilometres, perched above the Mediterranean and commandeer its boulevards. No matter the 180-degree hairpin turn approached from a straight run, travelling at top speed. No matter that you approach that hairpin turn from a dark tunnel into blinding sunlight decelerating from full throttle with a 7.5 second burst at 200 km/h, braking hard to 50 km/h. And all the while with only split seconds to decide if you must overtake an opponent — the only place to do so. Add to that the myriad of turns and gear changes requiring ultimate concentration, finesse, control, and skill — likened by Brazilian driver Nelson Piquet to «riding a bicycle around his living room». By the time they finish, the race drivers will make almost 5000 gear changes! Take this jewel in the Mediterranean sun and allow the gods to go crazy — a little rain on the typically sun-bleached track, a storm at sea and you have all the drama of racing in Monaco. Did you know the great Fangio narrowly escaped being washed out to sea in his virgin win at Monaco’s F1 Grand Prix in 1950? 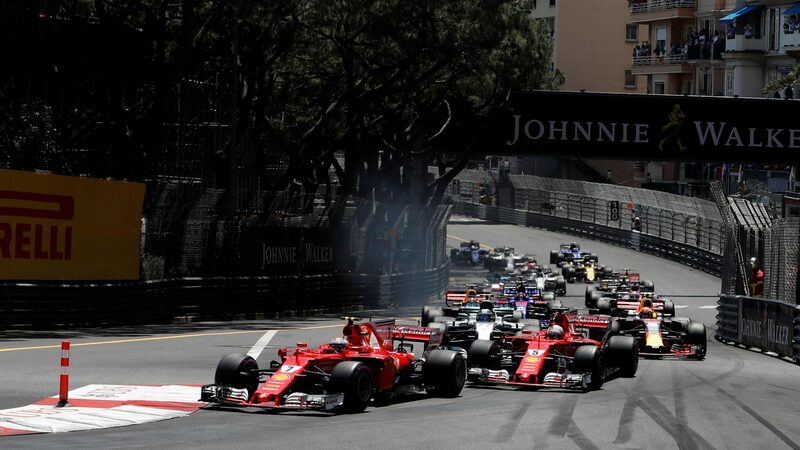 It would seem unimaginable, but in the Monaco Grand Prix the unimaginable happens. Take Paul Hawkins, for example. Approaching the chicane at the port, the charming, well-loved Lotus driver must have had his father, a vicar, saying more than a few prayers. A 1965 issue of MotorSport reported: «There was a bit of a furore at the chicane for Hawkins struck the wooden barrier at the entry and spun through the straw bales and over the edge of the quay and into the harbour. The Lotus sank to the bottom and the rugged Australian bobbed to the surface and struck out for shore, while boats went to his rescue». They say lightning doesn’t strike twice, but miracles repeatedly happen in Monaco: the same fate had already struck Alberto Askari in 1955, when he too ended up in the sea but still managed to come in second. 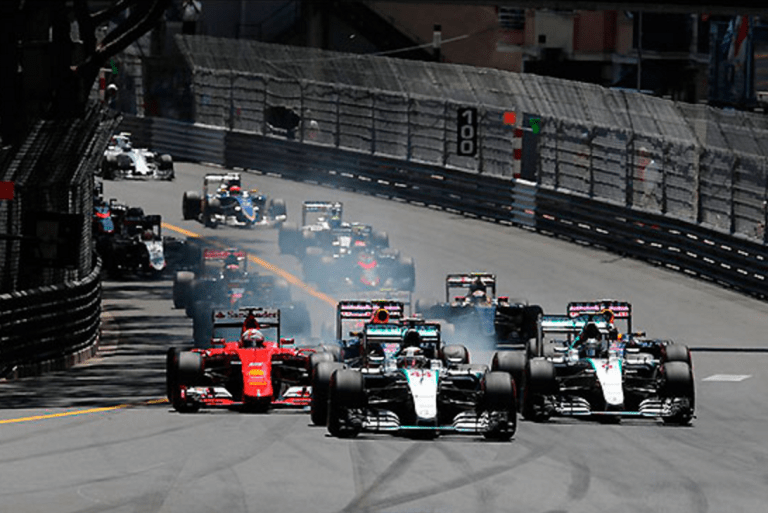 Danger always lurks when travelling at 200 km/h only millimetres away from concrete barriers — yet the Monaco circuit’s overall safety record is good. 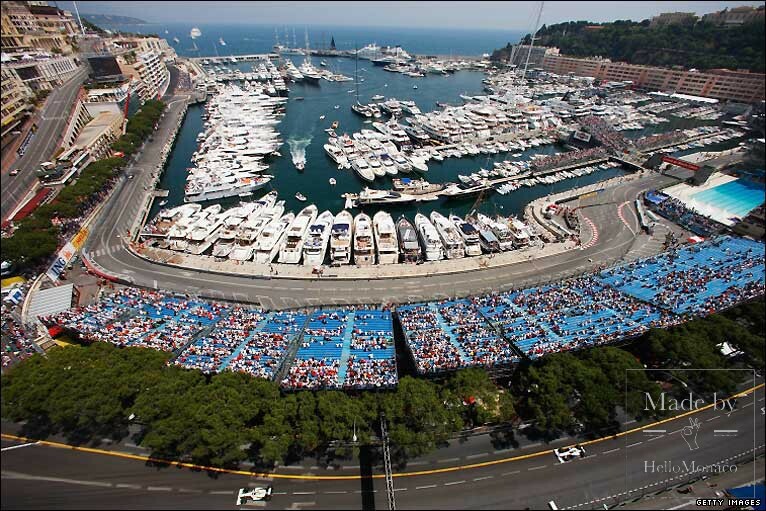 Racing authorities who insisted Monaco must have a racetrack within its own border. They had the determination to make it happen against all odds and teamed up with Louis Chiron, the famous Monegasque race driver who saw the potential in the streets of Monaco as a racing jewel. Reigning Prince Louis II wholeheartedly backed the idea of the race and financed its creation. The first Monaco Grand Prix debuted in 1929. Today, the final curve on the track is known as the «Virage Antony Noghes» after its creator. And once you have a race on the streets of a Mediterranean luxury resort, you have the makings of one of the greatest party venues in earth. Yachts, the perfect place to watch the race and celebrate life, host exclusive parties, like the Force India yacht extravaganza, described as the most awesome party on the planet. 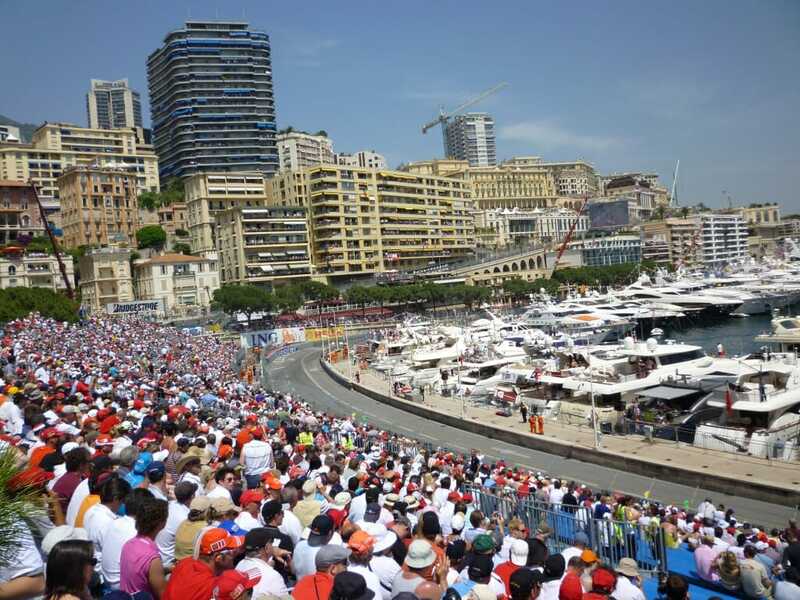 During the Grand Prix, celebrities pour into the Principality, outnumbering the famous race drivers. Celebrities can be found on giga-yachts, in the Pits, and in the famous bars and night clubs. It is almost a rite of passage for magnates, film stars and singers to be seen at the Monte-Carlo Grand Prix. Starting with Onassis and Elizabeth Taylor, to today’s A-list celebrities George Clooney, Brad Pitt, Will Smith and Leonardo DiCaprio, Monaco bursts at the seams with the «who’s who» of the world. Previous years have seen iconic Director George Lucas in the Pits, exclusive yacht parties with Leonardo DiCaprio one year and Cameron Diaz another… Who will we see in 2018? Social media is a blur with posts of Pharrell Williams, Justin Bieber and Jennifer Lopez; famous models’ Instagrams pulsating with Victoria’s Secret divas Bella Hadid, and Adriana Lima — there are more stars than cars! Experience the magic: go dancing, go to the fashion shows, it is all there for every visitor — beauty on show as only the Monte-Carlo Grand Prix can provide. And, perhaps the ultimate sighting: Royalty — HSH Prince Albert II and Princess Charlene. And no Monaco Grand Prix is complete without sightings of the latest love trysts of the most eligible bachelors of Formula 1. Lewis Hamilton seems to race through the field of starlets as nimbly as he carves his way through competitors on the racetrack. Press reports describe a revolving door of models and singing stars, linking his name to Rihanna, Nicole Scherzinger, Winnie Harlow, Barbara Palvin (also reportedly seen with Neymar) and of late the beautiful model Sofia Ritchie, daughter of Lionel Ritchie. The Grand Prix also attracts football VIPs including Gareth Bale, Neymar, Ronaldo (reportedly escorting Cara Delevingne — or was it Georgina Rodriguez?) and infamous manager Jose Mourinho. Ayrton Senna famously burst onto the F1 scene with a storming performance in the rain-soaked 1984 race and holds the record for most Monaco Grand Prix wins, totalling six. The smallest winning margin came in 1992, when Ayrton Senna beat Nigel Mansell by just 0.215 seconds. Graham Hill, known as «Mr. Monaco», took five wins of his fourteen races on the streets of Monaco between 1963–1969. Perhaps the most famous Grand Prix champion is Michael Schumacher, who also took five victories in the Principality between 1994–2001. Lewis Hamilton comes into the 2018 season as the Formula 1 world champion. Lewis is known to enjoy partying hard and winning the World Championship was the perfect excuse to sow his wild oats. A slump in the last 5 races of Lewis’ 2017 season did give us a chance to see who might come through in 2018 and challenge Hamilton’s world title. Formula 1 is abuzz over Max Verstappen, the new young hopeful for the Red Bull team. He stacked up an incredible two wins at Malaysia and Mexico while Hamilton was possibly party weary. Ferrari will give their all to win at Monaco again in 2018. Would Hamilton have won the World Championship in 2017 if Vettel had not been relegated down the pack in Azerbaijan for antics that the stewards considered were worthy of heavy penalties? You can be sure that Sebastian Vettel has had time to reflect. Sergio Marchionne, the Ferrari team head, will be expecting his number one driver to avoid «giveaways» in 2018. Bets are on Vettel for Ferrari versus Hamilton for Mercedes in Monaco this year. Vettel won here for Ferrari in 2017, ending Ferrari’s 16-year drought at Monaco. Their last win was with Schumacher in 2001. Hamilton is reported as saying that Schumacher’s seven World Сhampionship titles are not in his cross hairs. We may hear a change in tune if he chalks up his third win at Monaco and the 2018 season is good to him. The wild card in the pack is Fernando Alonzo. 2017 was a year he will want to forget. Don’t expect the same again — Alonzo will rise to the challenge in 2018. 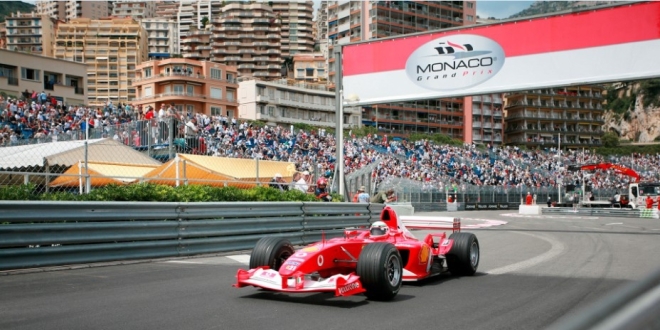 Remember, Alonso’s 2007 win was achieved at an average speed of 155.551 km/h — the fastest winning speed in Monaco history. Eyes will also be on Charles Leclerc, driving for Sauber, who has come up from Formula 2. At Monaco when eyes are not on the beautiful people they are on the beautiful cars as they fly round the track qualifying. Pole position, awarded to the fastest qualifier, is regarded as critical to winning because it is so hard to overtake during the race. Does history bear this out? One theory says yes based on the statistic that nine of the past ten races have been won from pole position. On the other hand, Lewis Hamilton won from third place on the grid in 2008. But emphasis on winning pole position in a way produces extra excitement as the drivers push themselves to the limit to qualify the fastest — creating spectacle and controversy when they also are judged to have blocked their competitors from qualifying for pole. There have been some ungentlemanly incidents where the stewards have sent the culprits to the back of the pack. But, history shows that pole position is not nearly as important as you might imagine in Monaco — the race has only been won by the pole driver 28 times in 61 races. Olivier Panis won the race from 14th on the grid in 1996 — the lowest any winning driver has started. And just a little drizzle, or safety cars interrupting the race is enough to throw all predictability out of the window. As history proves, anything can happen in the Monaco Grand Prix. Join in the melee, the race and the parties, 24–27 May 2018.